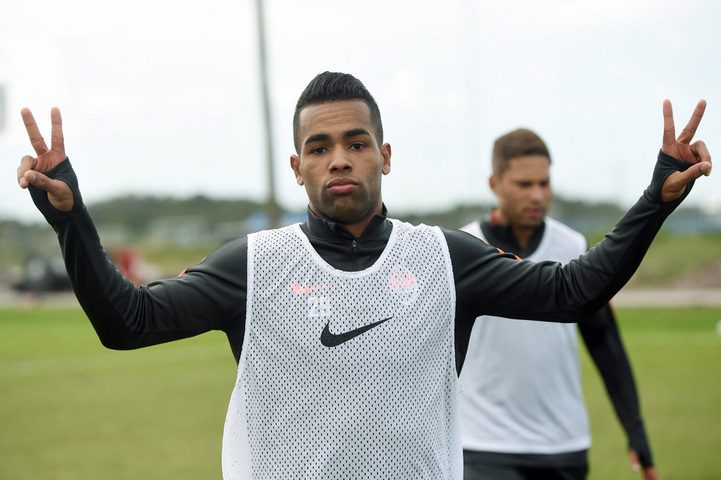 The American phase of Shakhtar’s winter break camp continues to gain momentum. On the evening of January 14, nearly the whole training session was dedicated to handling the ball. The players practised shots on goal, with the goalies getting peak workloads. - That’s the first day of our really intense work. It’s been tough so far: we still lack the necessary promptness and technique, – admitted Shakhtar goalkeeper Andriy Pyatov. - Nevertheless, I would highlight Darijo – he’s produced the best shots on goal today! Eduardo, Bernard, Serhiy Kryvtsov and Azevedo trained individually. Nothing serious happened – they just have minor muscle strains due to intense workloads, as it usually happens during the first days of a training camp. The doctors have assured that the players will be back to the ranks in a day or two.